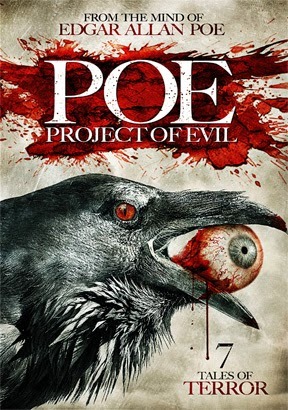 Howlin' Wolf Records: SIX STRINGS: Brain Damage Films "POE: Project of Evil"
In this twisted horror anthology, seven talented Italian directors present their takes on the disturbing tales of Edgar Allan Poe, each in a very personal and modern way. Prepare to experience the terror of POE! Stories include 'The Pit and the Pendulum', 'Solo', 'Loss of Breath', 'The Murders in the Rue Morgue', 'The Tell-Tale Heart', 'The System of Dr. Tar and Prof. Feather', and 'The Premature Burial'... It’s Poe like you've never seen before!